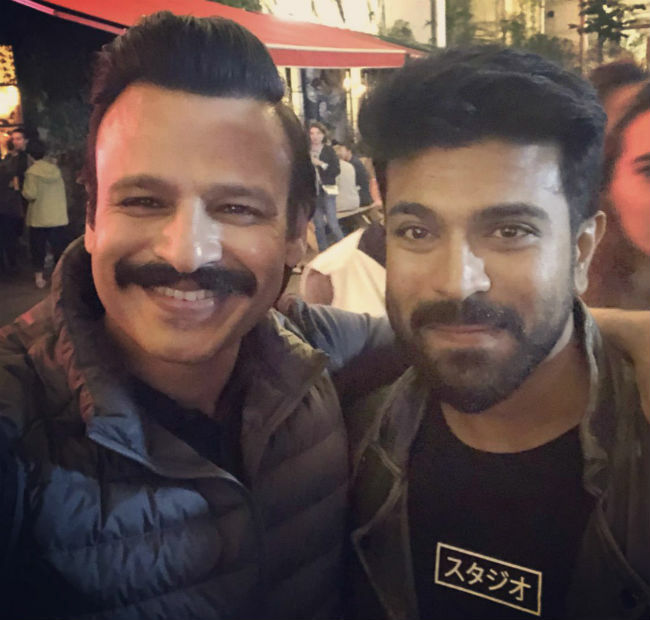 Ram Charan and Boyapati Srini's film is almost finishing its shoot. The film will be wrapped very soon. We will be seeing Vivek Oberoi as a villain in this film. He has finished his portions in the film. The Bollywood hero tweeted, "Camera on “WARRIORS” camera off “BROTHERS”! Last day of shoot for the film, epic experience! Loved every moment. My brother #RamCharan you are a delight to work with. Thank you for the love, respect & hospitality. You have all the great qualities of your legendary father! #RC12"
The film is yet to get its title. The first look of the film will be launched on Deepavali festival. Kiara Advani is the leading lady of the film. The film will be release during Sankranthi.